Metal has become a very important part of all our lives. It is primarily made up of carbon and iron. The other metals present in it are oxygen, silicon, sulphur, and phosphorus. The metal should contain less than one percent of manganese and fewer than the 2 percent of carbon. Shearing – using shear blades, welding, machining, rolling, grinding, etc. Computer control procedures – involves laser cutting, punching, bending, and forming. Apart from attaining a shape, this metal fabrication process helps to add some more value to the metal which increases as it undergoes the various process. Are you willing to get sheet metal fabrication? If so then it is essential to hire the best company. 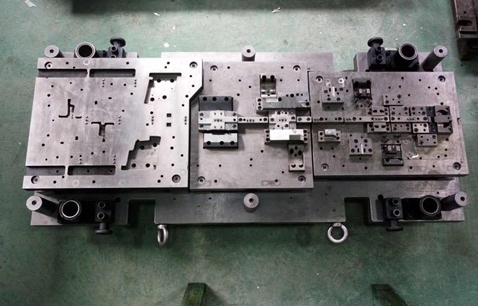 To go with this, if you are searching for one in China, make use of the metal fabrication which offer the best product meanwhile save a lot of time and money. They are certified and well trained and so ensure to complete any kind of project. In addition, they use top quality equipment and materials to make sure the high-quality products to their clients. These days there is a wide range of metal fabrication companies are available to choose from but Haitong is one of the leading and professional companies in providing high-quality metal sheet fabrication product to customers at reasonable price in China. Our company is one professional producer of metal sheet in various sizes, shapes, and materials. We attempt to constantly fulfill the needs and expectation of our valued clients. We provide full metal fabrication to your specification. As we have many years of experience in this field, we provide reliable and cost-effective service to the customers. We have experienced and skilled experts who are capable to provide quality fabrication products to our customers. We use latest, advanced and specialized tools to bring the sheet metal fabrication with many benefits. We try to satisfy and exceed our customers’ needs and expectations.